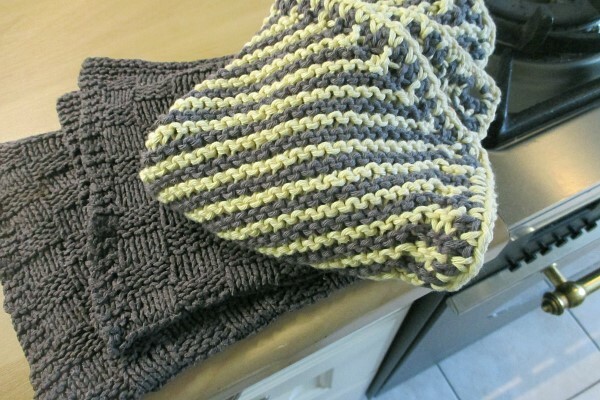 After I finished the hat yesterday, I made myself finish the dishcloth.
) I wrote "made myself" because I really was itching to make another hat. Let's face it, I like making hats. I love making hats. I'd be very happy just knitting hats and nothing else. I promised myself a yarn shopping spree in January, but for now I'm working with the scraps I have, so I'm not sure where this is going color wise. So far I like it. 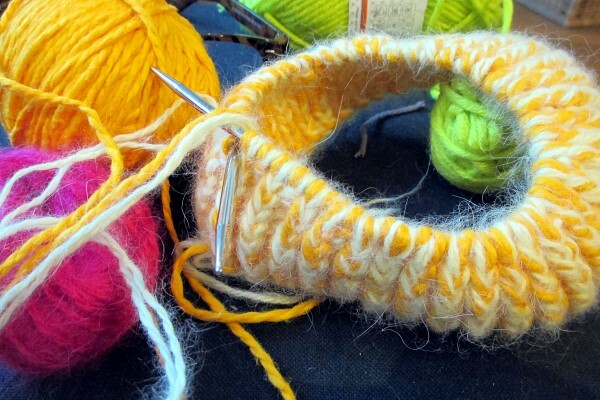 I have a think about knitting baby booties. Just don't have enough babies. I love the yellow and cream together. Looks interesting.